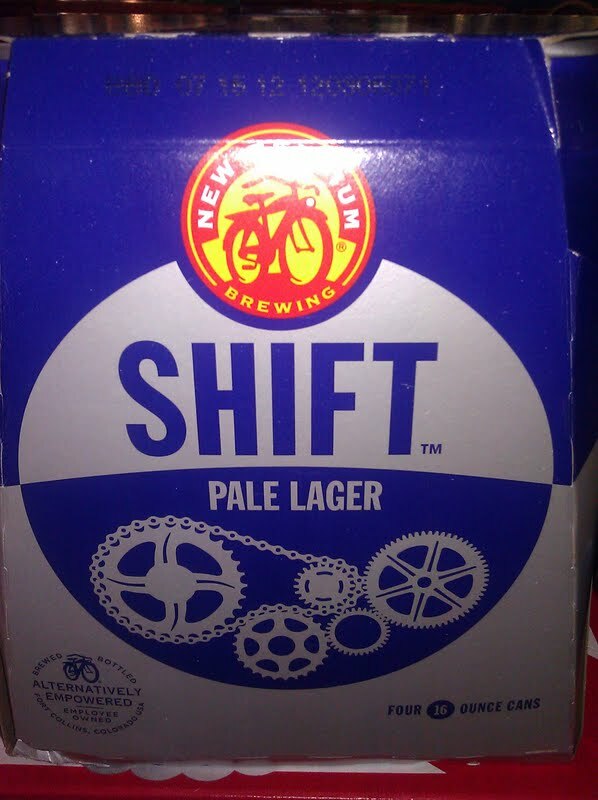 Kind of a disturbing new trend going on in the craft beer world recently with companies packaging beers in smaller quantities but charging the same as you'd pay for a six-pack. For instance, Green Flash used to sell their West Coast IPA in six-packs, but changed to the four-pack format (before we started getting it here in Albuquerque) and still selling it for $9.49. Sierra Nevada's Torpedo can be purchased for $7.99 for a six-pack of bottles (72 oz.) or $7.99 for a four-pack of 16 oz. cans (64 oz.). Hmmm. I'll take the bottles and NOT go camping, thanks. 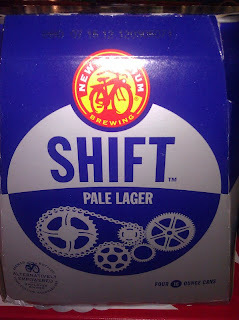 And now New Belgium has jumped on the "less for more" bandwagon with Shift Pale Lager. A 5.0% session beer hopped with Nelson Sauvin, Liberty, Cascade, and Target, it is no doubt aimed at those outdoorsy craft-beerloving types that Colorado is known for. But at $7.99 for 64 oz., the same price as their six-packs, over time that missing 8 oz. will equate to added dollars people will be spending on more beer. And that means less money to spend at REI. Let's hope, as good as the beer may be, that this trend doesn't become the norm.